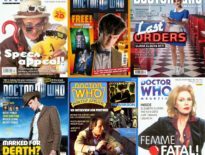 Many of us just pick up Doctor Who Magazine no matter what’s on the cover – but a catchy front page always helps, doesn’t it? And while the majority of them have been pretty darn great, there are a few that’re just a bit… odd. Oh, don’t get me wrong, we love them for all their oddities, but what must the person behind the till think when we try to pay for a magazine, while its selling point seems to be a nonplussed companion? 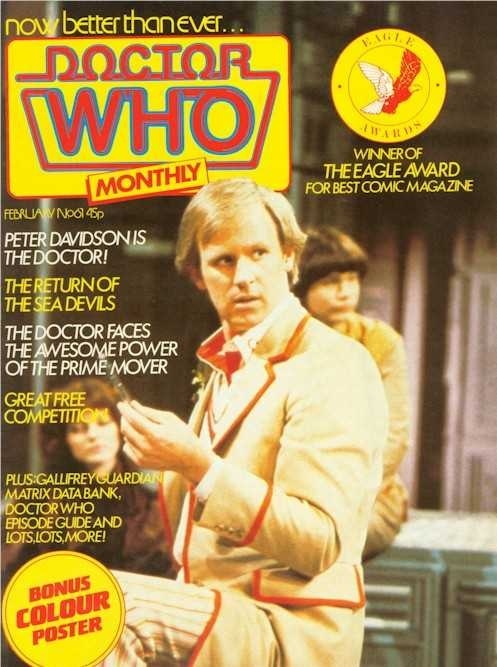 I can forgive many of the zanier covers from DWM’s early years, largely for nostalgic reasons. 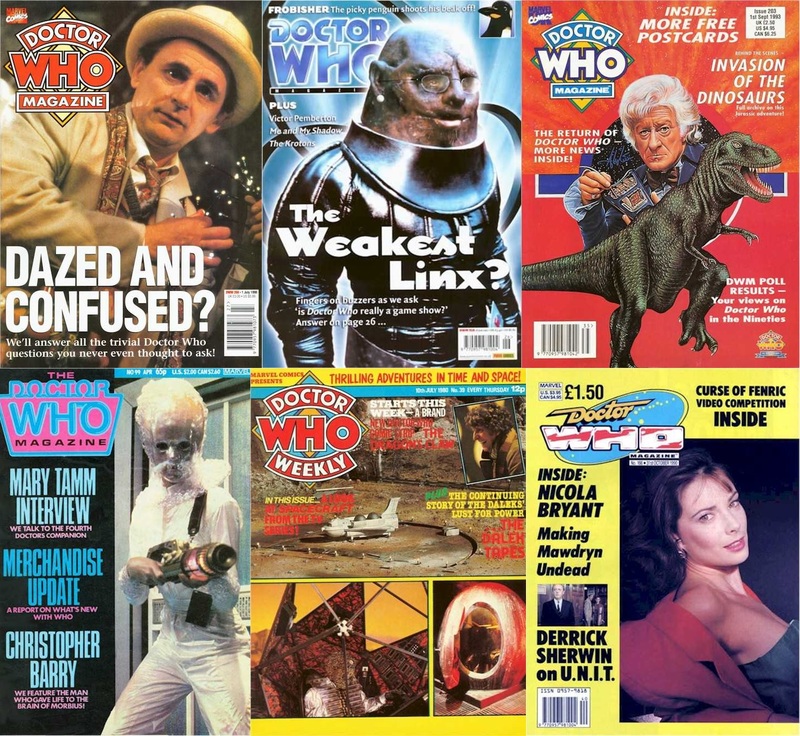 #37 was advertised as a “SPECIAL MONSTER ISSUE” and showed the dullest bunch of aliens to grace Doctor Who (with the exception of the ambassador from Alpha Centauri). 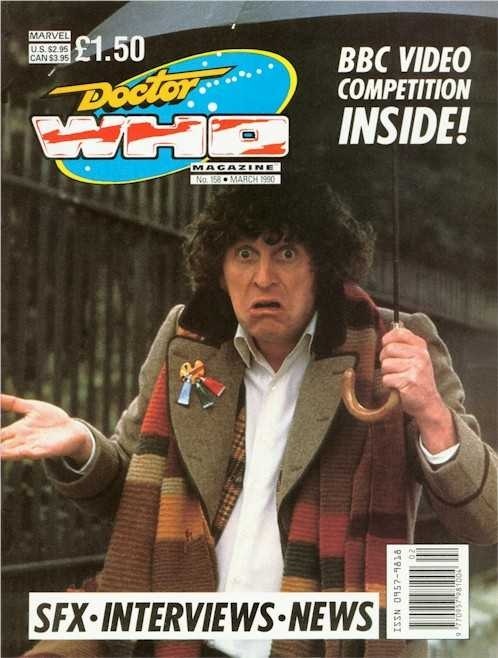 #39 tries to make spaceship models seem thrilling by including a small photo of a grinning Fourth Doctor. But I cannot forgive #44. Oh wow. I just described The Invasion of Time in its entirety, didn’t I? Fortunately, the magazine also promised the Dominators so you knew the rollercoaster ride was about to hit a new level of fun. I still don’t understand the thought process of whoever made this cover. #150 is a big deal, and indeed, this stood out on the shelves. But, uhm, it’s bizarre. I’m pretty sure a Not-We planned it, but he was somehow related to editor, John Freeman, and if he didn’t get his own way, he’d tell his mum Freeman had been mean to him. NOT-WE: Let’s just have a giant “150”! 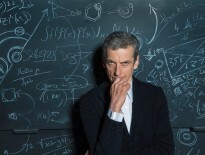 FREEMAN: But what’s that got to do with Doctor Who? FREEMAN: The thing the magazine’s about. NOT-WE: Oh. I dunno. Isn’t the main character, like, 150 or something? NOT-WE: Oh. Well, it’s our 150th issue so fans can just shove it. Let’s get some ice cream. And shove it we did. Plus it was a bumper issue. They could’ve comprised the “150” out of small photos from the show, but instead, they threw some images of regular villains at the cover and pritt-sticked them down wherever they landed. 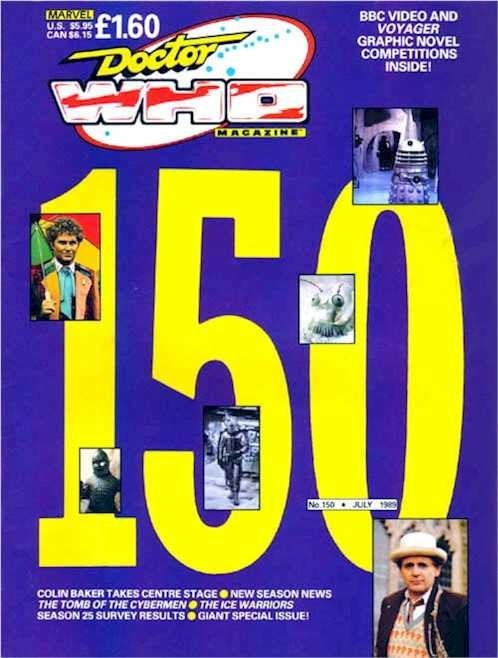 Yep, for its 150th issue, DWM had a rather rubbish cover. Yet… There’s something strangely wonderful about its laissez-faire approach, isn’t there? Why was Doctor Who cancelled? When’s it going to be back? It is going to be back, isn’t it? Why are you holding an umbrella, Tom? It’s not even raining. Still, the picture’s from the famous City of Death photoshoot in Paris, so most fans will presumably have framed it. Other candidates from 1990 include: #161 (Patrick Troughton asking, “What’s the point anymore?”); #168 (Sylvester McCoy and Sophie Aldred asking, “What’s the point anymore?”); and #166 (Nicola Bryant asking, “Have you got the time, big boy?”). And then there’s #178, starring Auton versions of the Sixth Doctor and Peri. 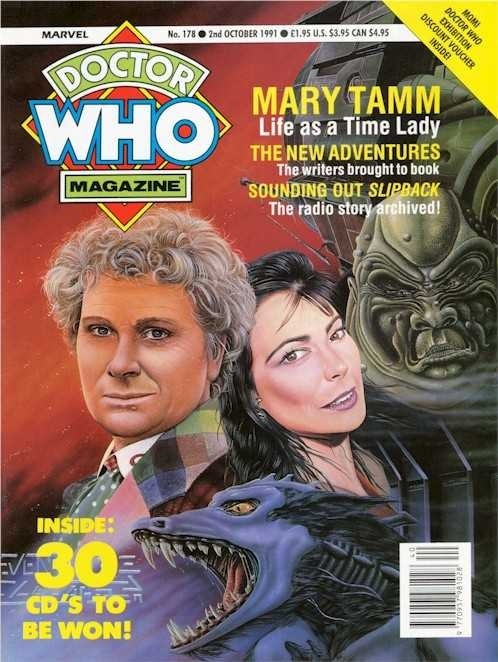 Or more specifically, Nicola Bryant off that #166 cover, propped up against Colin Baker who, thanks to a bit of mascara, is looking fab-u-lous. I never even realised Nicola’s teeth were that pointy. Hang on, it is Nicola, right? It’s not Camilla from State of Decay? The pair are surrounded by monsters. They’re creatures from the Slipback, a radio drama I’ve not had the pleasure of listening to… but I do know the Target novelisation’s cover, and yep, you can certainly see parallels. Colin Howard provided the art, and honestly, I’m making it sound worse than it is. Probably. Howard did the cover to a few DWMs as well as Classic Comics, so we know how brilliant he normally is. This time, however, he seems to have had a cheeky sip of Voxnick. Get closer to the cover and you can see a banner pleading with readers’ parents. “MOM!” It says. “DOCTOR WHO EXHIBITION DISCOUNT VOUCHER INSIDE!” Isn’t that a bit patronising? But wait! There’s madness to this method! It was actually the “MOMI” exhibition, MOMI being the acronym for the Museum of Moving Images. Wow. Pictures that move. Will wonders never cease? That’s right, there are a good 100-odd issues which get a pass. 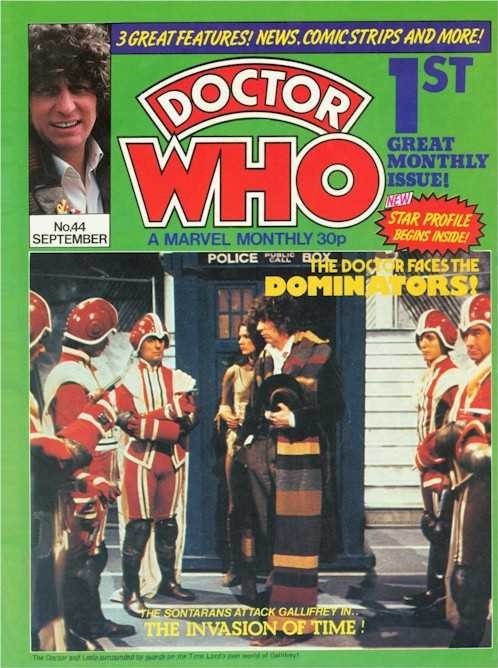 #266 nearly made it in here because I felt the “Dazed and Confused?” headline was a tad insulting to Sylvester McCoy (who looks like you’ve just asked him about quantitative easing) and fans alike, but it was pipped to the post, as things often are, by… the Cryons! But in July 2001, it must’ve been decidedly difficult to explain why the show is fantastic when the latest DWM showed a bubble-wrapped Faith Brown clinging to the nearest blonde. Actually, the crew behind DWM 1989- 2004 need to be applauded for carrying the flame, for providing solace for a wealth of fans still pained by the heartless disregard shown to their favourite show by the BBC, but at the DWC, we’re as ruthless as they are on Varos, on Skaro, and in Ipswich.